When evaluating and making important decisions in your business, monthly reports can be an important tool. Monthly reporting gives a clear impression of how things are going in a number of key areas here and now. Combined with specific and tangible suggestions for improvements, monthly reports can be really valuable for your business. 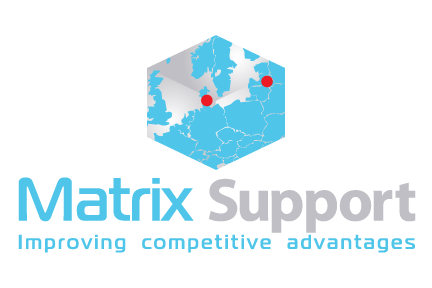 Matrix Support has the necessary knowledge and experience to carry out reports that provide value for you and your business. We always tailor our monthly reporting to match your needs. It is crucial that monthly reports accurately contain the information, suggestions and numbers you have requested – and nothing else! Contact us today to find out how we can help you with your monthly reports, annual reports and accountingss, as well as how we can help optimizing your business finances in general. Monthly reporting can help decision makers and managers optimizing certain work areas and processes in the company by clarifying the development in the company’s key figures and activities. Combined with advice and suggestions, the reports are really useful as a tool for financial management. Monthly reports will ultimately help you make the right decisions, because you always have an in-depth insight into how the business operations are progressing. The financial statements give a good snapshot of how the whole year has proceeded, successful or not, but it is actually the monthly reporting that helps you move in the right direction. If there are any problems or a drop in sales, ongoing reports will help you operate in the best way. Therefore, it is a good idea to get financial assistance if you do not have the resources or skills to take care of it yourself. We can ensure you there will always be control of your monthly reportings. Should Matrix Support handle your monthly reporting, annual reporting and other accounting tasks for you? All customers at Matrix Support are offered a complete solution. Depending on your needs, we can provide monthly reporting as an addition to the other accounting tasks that we handle for you. Matrix Support can also help you with accounting, financial reports, VAT, tax and tax returns, bookkeeping, payroll management, creditor and debtor management and much more. You can read more about our competencies here. Contact us today to get a non-binding talk about how we can help you.